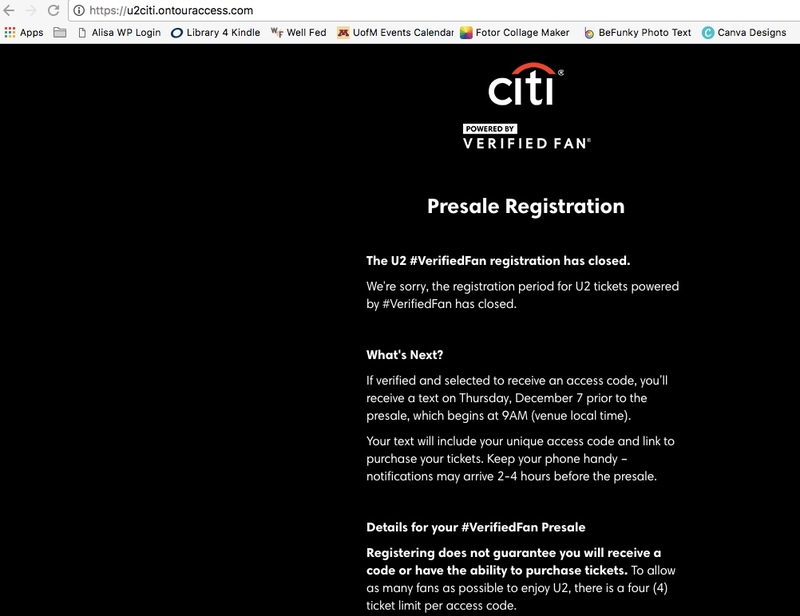 @bigwave Any info on why there is not new registration for the MSG3 show? For all other U.S. shows, you had to re-register every time they announced a new date. But this time: ??? Screenshot of old info (still up 1/29/18) is below. I can’t find any info for the MSG3 Citibank presale. Just looking for what date and time. It’s not listed as an option in the TM app right now and not on the U2 tour page info about the show. Hoping I didn’t miss it today.